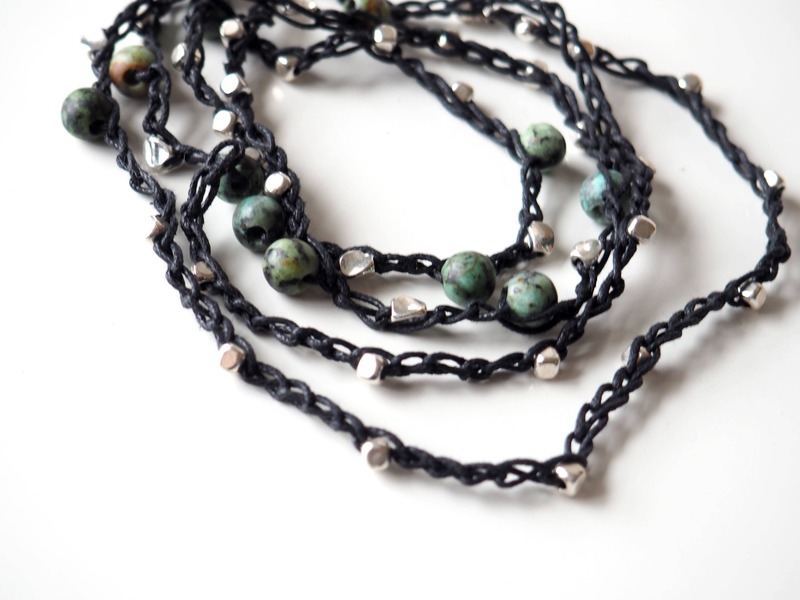 Crocheted waxed linen wrap bracelet/necklace with African Turquoise and silver-plated beads. 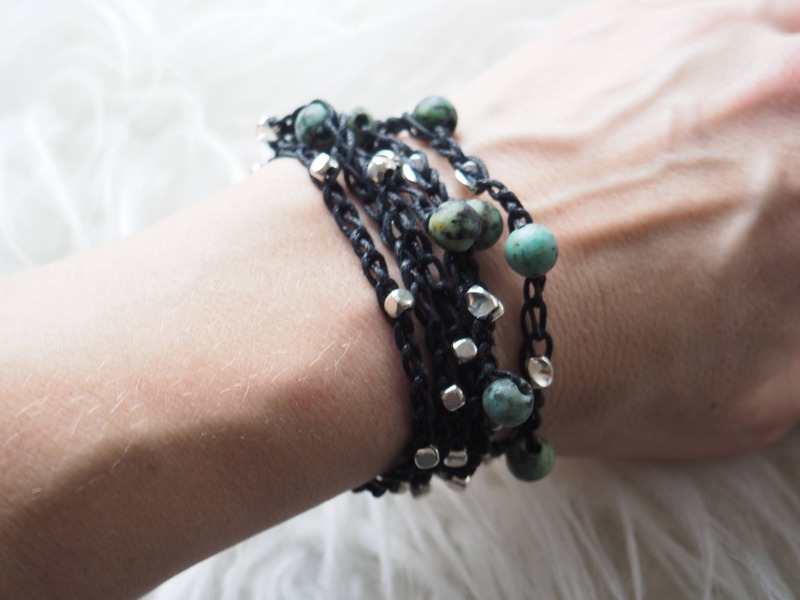 This Boho wrap bracelet with African turquoise and silver-plated beads can be worn either as a wrap bracelet or necklace. 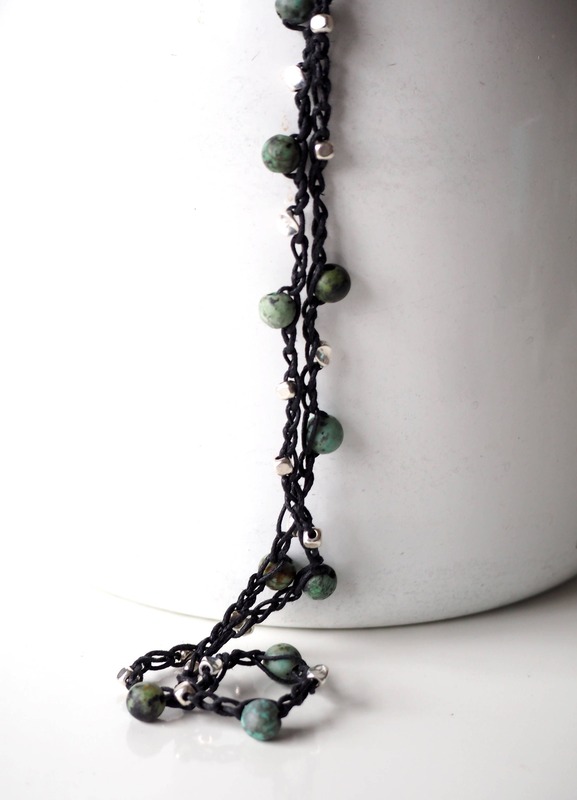 There is an inch of silver-plated chain to allow for a perfect fit.